Annabelle Miriam was born today at 3:54 PM to our son Jason and his wife Shannon. Mommy and baby are wonderful and Dad - a Pediatrician - says she's just perfect. 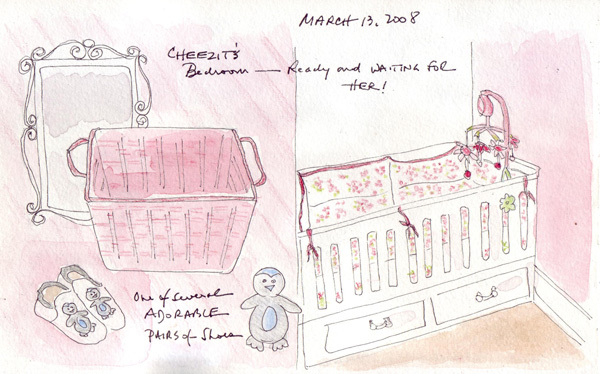 I sketched and painted the waiting nursery when I visited several weeks ago - and took her the new babyquilt and matching musical pillow. 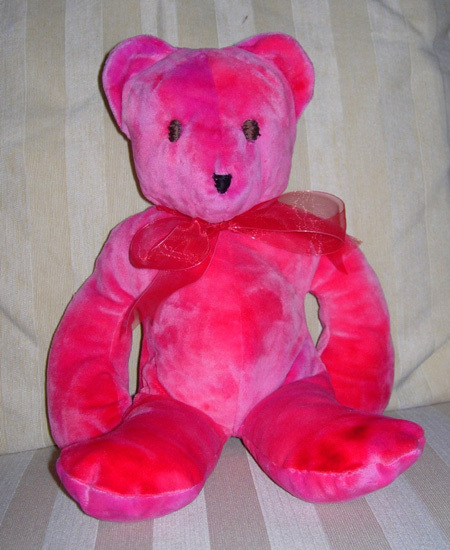 This week I made her a really soft pink bear and will take it for our visit next weekend. 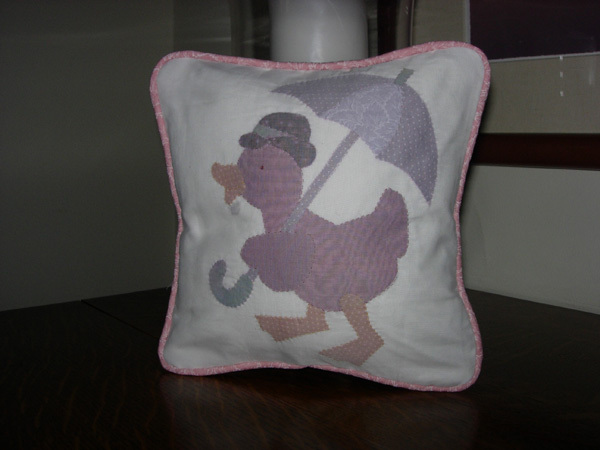 There is a music box in this shadow applique pillow. This bear is so soft - I hope she loves it! 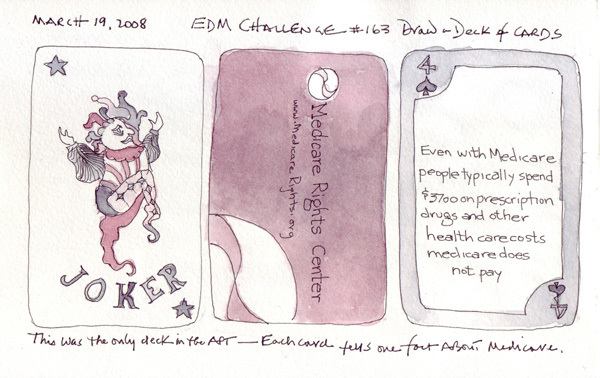 We don't play cards - and the only deck that I could find in the apartment came from a Benefit Dinner for a Health Care non-profit organization that we attended. Loved the joker - so that was good for sketching. The individual cards each had a single Medicare fact printed on the face side. Wish I had something more exciting! I got behind last week when I was working on my blog entry re: recylcled books. 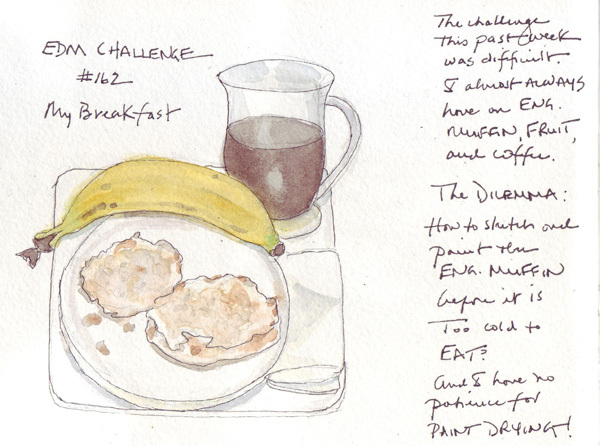 Here finally are the last two challenges: Body lotions that smell good and my Breakfast. I still try to practice faces and figures as much as possible since this is one of my goals for 2008. Here are a few that I haven't posted previously. This was a traditional photo that I tried to stylize in the sketch. 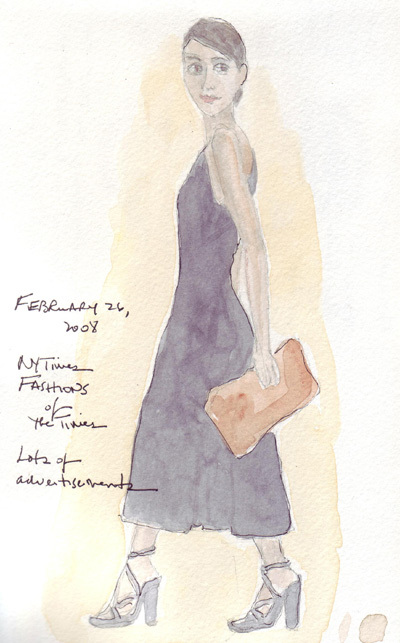 A watercolor sketch from another magazine advertisement. 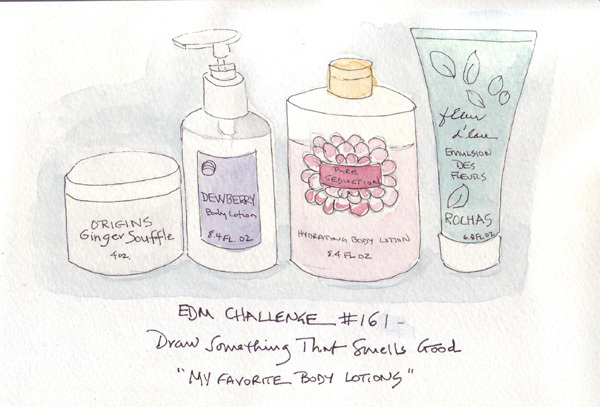 I tried to minimize the amount of ink in the drawing and to work on mixing watercolor skin tones. 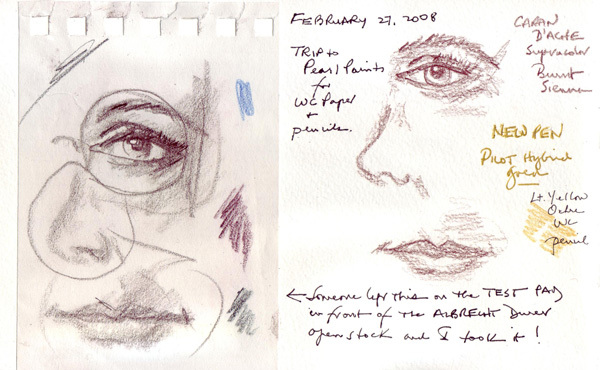 When I was shopping for more watercolor pencils at Pearl Paint, I found the eye, nose, and mouth sketch on the left on the "test pad" hanging on the cabinet containing the pencils. I had to rip it off to test my pencils and since there was no longer anyone around, I brought it home for my own practice. I'm in awe of someone who could quickly dash these off - and tried to do the same. This was a bad experiment! 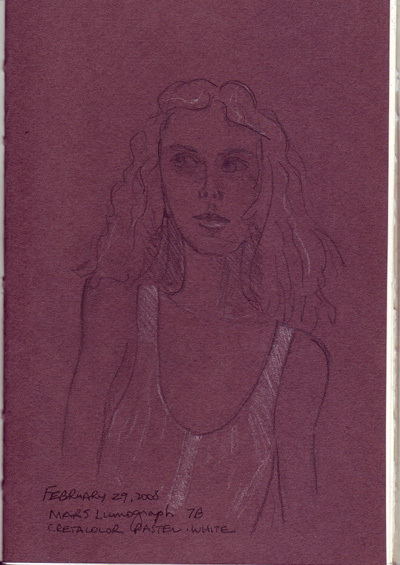 I wanted to try the Mars Lumograph black pencil and my Cretacolor white pencil on a scrap of brown sketching paper. 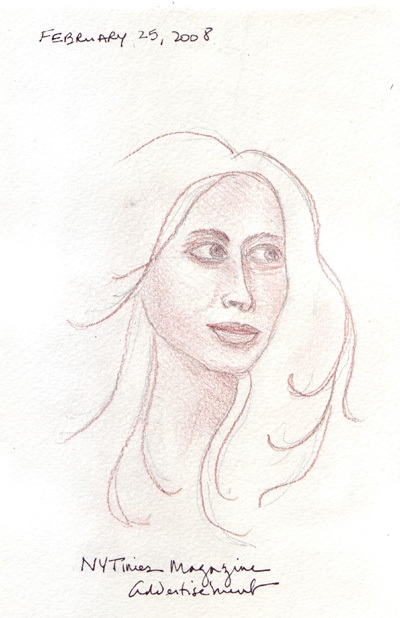 The brown color is just too dark to really see the sketch, so I'll go back and buy a lighter tan for more experimentation. 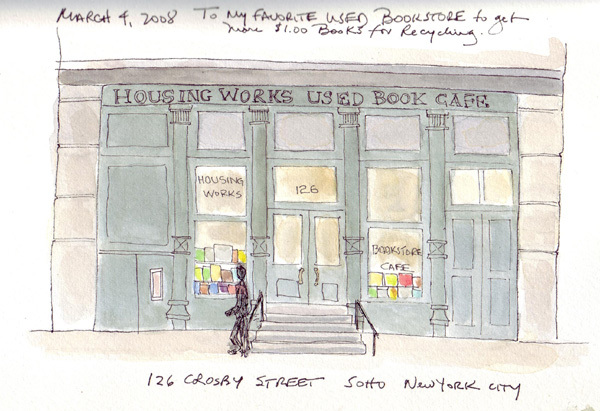 This is the wonderful used book store where I find my perfect-sized $1.00 books for recycling. It is a lovely bookstore - well organized and cozy. There is a cafe and tables for browsing and reading - and 3 carts always loaded with their oldest and most unloved books for $1.00. All proceeds go for AIDS research and support. My favorite that I purchased this week was Parnassus on Wheels - a short novel by Christopher Morley - complete with lovely ink illustrations. Of course I had to read the entire book as soon as I got home.